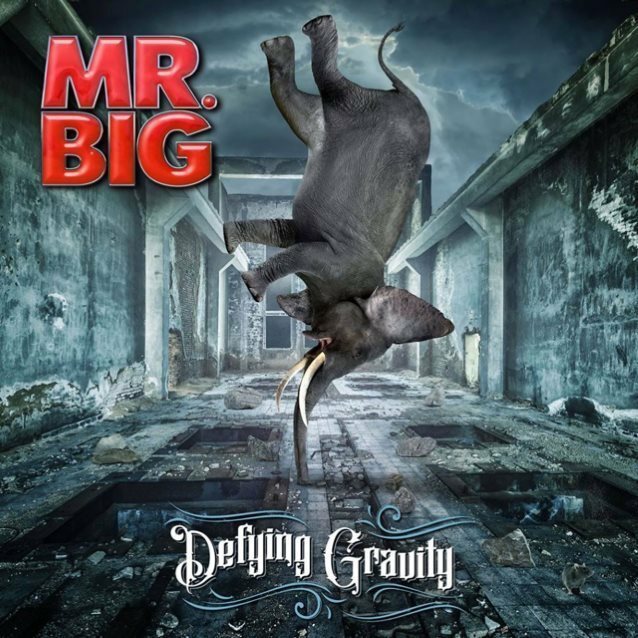 MR. BIG will release its ninth studio album, "Defying Gravity", on July 7 via Frontiers Music Srl. The effort will be available at traditional retail and all digital service providers, as will a deluxe edition version with CD and bonus DVD that features music videos and a behind-the-scenes look at the making of the new album. The album will also be made available on vinyl in the coming months. An official trailer for "Defying Gravity" can be seen below. "Defying Gravity" deftly showcases that patented MR. BIG blend of crunch and melody, from the freight-train ride of opening cut "Open Your Eyes" to the harmony-laden wonderment of "Damn I'm in Love Again" to the grateful/wistful nostalgia of "1992" (recalling the days when the band was flying high atop the singles charts with their international No. 1 smash "To Be With You") to the barnburning slide-blues closer, "Be Kind". Overall, "Defying Gravity" is prime evidence that the only thing MR. BIG remains tethered to is their ongoing pursuit of achieving creative excellence. Original members Eric Martin (lead vocals), Paul Gilbert (guitars), Billy Sheehan (bass) and Pat Torpey (drums) reunited with producer Kevin Elson (who was behind the boards for the band's 1989 self-titled debut, 1991's "Lean Into It" and 1993's "Bump Ahead") for an intensive six-day recording session in Los Angeles. While Torpey was unable to perform some of the songs on "Defying Gravity" due to a recent diagnosis of Parkinson's disease, Matt Starr has been filling in for him on a majority of the album. Starr also been touring with the band for the past couple of years, with Torpey able to play a couple of songs at each stop. 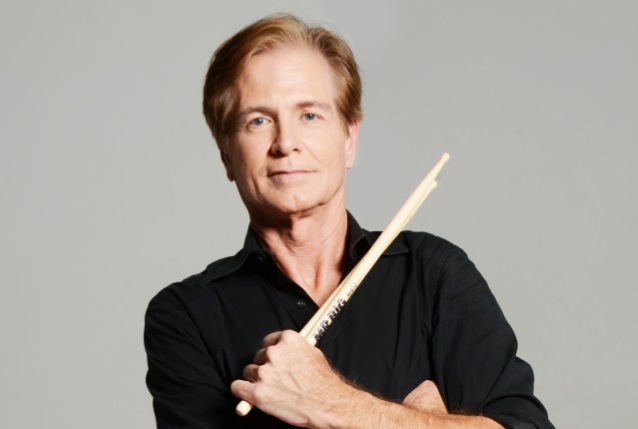 Pat Torpey, drummer and founding member of MR. BIG, passed away Wednesday, February 7 at the age of 64 from complications of Parkinson's disease. His family, bandmates and management request privacy at this very difficult time. Services are pending. MR. BIG bassist Billy Sheehan said: "Pat Torpey has been my closest friend in music for over 30 years. He passed away yesterday from complications as a result of Parkinson's disease. "Pat was one of the finest human beings I've ever had the privilege of knowing, and the honor of working with. All of us in MR. BIG had nothing but the highest respect and admiration for him. He is loved by anyone and everyone who ever met him. And surely one of the finest rock drummers the world has ever known. "Please keep his sweet wife and wonderful son in your prayers." "I love you, Pat. You made the world a better place. We will miss you. We will never forget you. Rest in peace, my brother." Former MR. BIG guitarist Richie Kotzen stated: "So saddened to learn of the passing of my friend and former bandmate Pat Torpey. We spent years touring the world, making music, family holiday gatherings, and even remodeled a house together. Pat's sense of humor, wit, and smile lit up any room the moment he walked in. "I am grateful and thankful to have had you as an incredibly important friend and influence in my life. You will be missed beyond words. With love and tears... Rest in peace, my friend." MR. BIG vocalist Eric Martin called Torpey "the strongest guy I know" in an interview with Total Rock last December. "He's such a strong personality, very smart, great rock n' roll drummer, and [Parkinson's disease] has taken apart his nervous system," he said. "Once in a while, he'll play a few songs with us. Our last tour, he played half the songs, and Matt [Starr] played the other half. On [the most recent European] tour, Matt plays the full drum kit, and then we call it a cocktail kit, but it's a percussive kit, and he's to the left of Matt and plays all the percussion and sings all the stuff. Spiritually, [Pat is] our driving force behind the band. Every time he goes, 'Oh, man, I don't know if I can do this,' I don't know about the rest of the guys, [but] if he bows out, I'm going to bow out with him." In a 2017 interview with Rock Rebel magazine, Sheehan spoke about Torpey's battle with Parkinson's disease. He said: "Pat, unfortunately, ran into a bad situation, and as a band, we wanted to make sure that he knew that we were with him 100 percent. It's a tough thing for everybody, but Pat has demonstrated incredible courage and strength. He's inspiring to so many people all over the world. I get e-mails from people every day who maybe don't have the same affliction, but have something similar and Pat inspires them to get out of bed and get going and push back a little bit more. I think that's a wonderful thing in itself. The American military, the Navy Seals and their motto is 'No Man Left Behind.' So for the beginning of this, we adopted their motto to a rock band and [it was] 'No Man Left Behind'. A lot of bands are out there now and they don't have all the original members. Sad, sometimes you can't. People pass on and situations, but we really want it to be Paul, Eric, myself and Pat. Matt is incredible at helping out. I have to mention how awesome he is and how wonderful a job he's done to do Pat's parts the way they should be done. Really wonderful." MR. BIG — Torpey, Martin, Sheehan and guitarist Paul Gilbert — released its ninth original studio album, "Defying Gravity", last July. MR. BIG, formed in 1988, produced numerous hit songs that ranged across a wide array of rock genres — be it ballads, heavy metal, or blues rock. Their hits included "Alive And Kicking", "Just Take My Heart" and the chart-topping ballad "To Be With You".